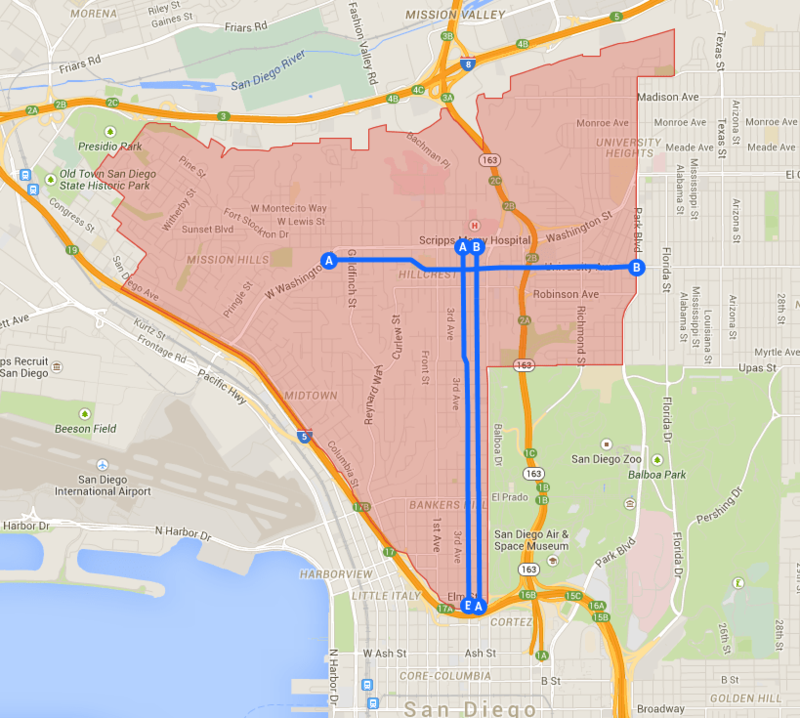 Uptown is home to Mission Hillcrest, Hillcrest, Bankers Hill and University Heights – communities all located on the Central Mesa in San Diego. Adjacent to the city’s crown jewel, Balboa Park and home to a handful of urban canyons, making bicycling connectivity limited. 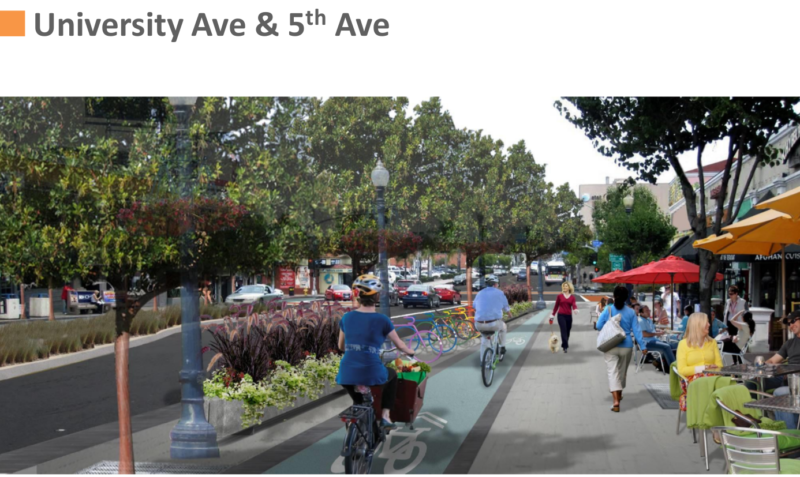 Our campaign to add cycletracks on University Avenue and on Fourth/Fifth and Sixth Avenue will Connect Hillcresst. With wide, overbuilt city streets, the room exists to facilitate bicycling for everyone while also making walking safe. 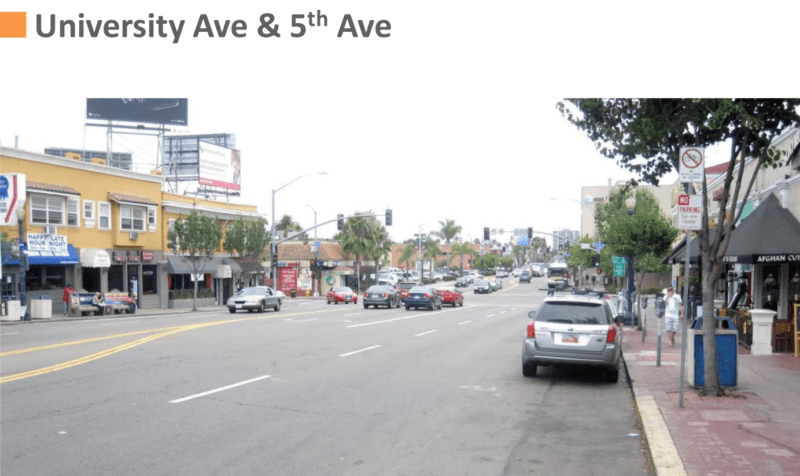 Fourth and Fifth Avenue – Earlier in 2014, the city of San Diego completed a road diet and installed buffered bike lanes on these key north/south corridors that connect Downtown/Little Italy to Bankers Hill, Uptown and Mission Hills. 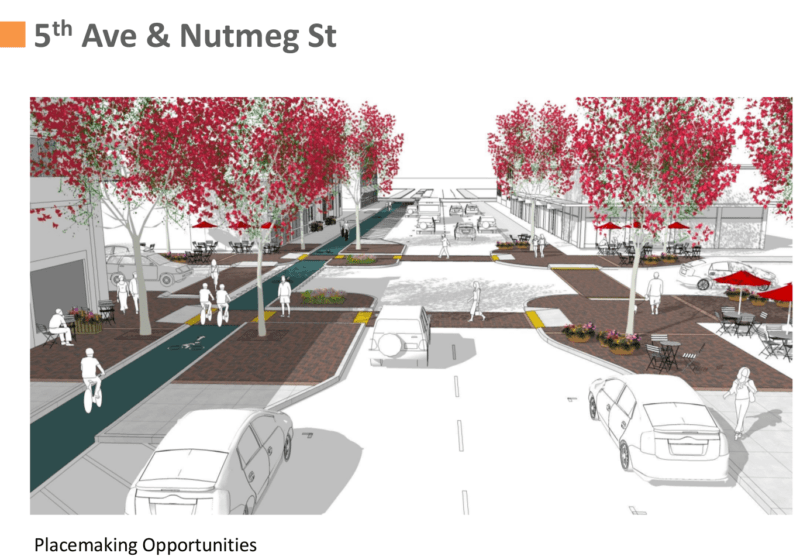 University Avenue in the future could actually be a truly multi-modal street. Photo via SANDAG.